Throughout Tanach and Talmud, there are numerous recorded uses and practitioners of magic1. From Pharaoh's magicians to Shaul's necromancer, and magic cucumbers to were-donkeys, the references are numerous. These are not only brought as stories, but oftentimes as factors in halacha. My question is, why don't we see magic practiced today? Does it still exist? Is it still theoretically do-able or has "nature changed"? If it's no longer possible, when did this change occur? Since the strength of Kedusha is not what it used to be, therefore the strength of Tumah is also not what it used to be. The Koach HaTuma mirrors the Koach HaKedusha. There is no magic today because there never was magic. Magic is what we humans call things which we do not understand. The more we learn about how the world works, the less things we can call magic. While people in generations prior to us, obviously felt that there was magic, in reality they are just describing situations which they think they understand what was happening (i.e. the use of magic). If all the facts were given to us, we would likely describe these situations differently. Perhaps we might say they are a coincidence, or we would be able to explain the situation "scientifically", or we would say the person was lucky with their intuition, or we would say it was just a false confirmation bias, or we would call it poetic language. It's impossible for us to know, since we no longer have the mindset of people who see "magic" happening around them on a relatively common basis. This follows Rambam’s view. Accordingly, the references to practitioners of magic in Tanach, as well as the prohibition against engaging in such activity, refer to slight-of-hand being presented as supernatural ability. E.g., Uri Geller’s frauds are prohibited; James Randi’s entertainments might not be. The Steipler writes in his book "Chayei Olam" (ch.10) that most of kishuf (sorcery) has been forgotten. perhaps due to things like witchhunts, etc. Rabbi Yaakov Hillel claims he has personally checked out many cases and concedes that sometimes it is real. though it is not clear if this is witchcraft or just clairvoyance. see here for more. The Rambam seems to concede that clairvoyance exists according to some. though some argue with this interpretation of his words. decide for yourself here. "one of our members began to argue the point with the Rosh Yeshiva saying that he was certain he had seen and experienced the powers of tum'ah; however the Rosh Yeshiva would hear of no such thing and told him that it was a result of his imagination. He went on to prove his point by saying that there is a reality called "zeh leumas ze" ("God has made one corresponding to the other" - Eccl.7:14, see Shaarei Kedusha by Rabbi Chaim Vital Gate 1 ch.1), opposite and converse entities exist in the world in equal proportion, and since today the power of kedusha (holiness) is so low, there can no longer be such a strong or powerful level of tum'ah"
Not the answer you're looking for? Browse other questions tagged history tanach sorcery-magic-kishuf . 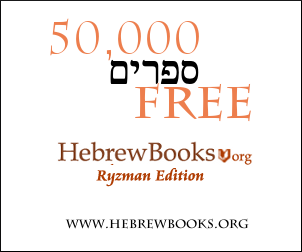 Which Rabbinic source claimed that the Rambam “killed” the demons? Why does a person need to be connected to the ground to perform kishuf (magic)? Does Judaism believe in black magic? Can you control the weather with magic?